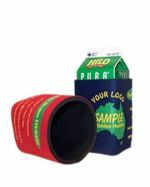 We supply high-quality promotional stubby holders all over Australia for an affordable price, personalised with your brand’s unique logo or graphics. 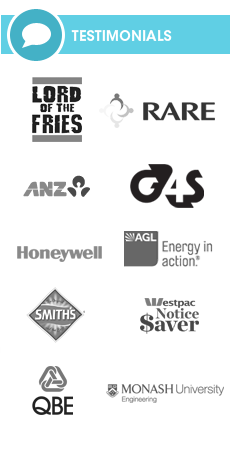 With our naturally relaxed, laid back attitude to life, we Australians have always enjoyed a cold drink whenever there’s spare time to unwind, and enjoy a stress-free time with ourselves or others. 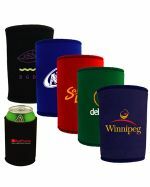 It’s hard to go wrong with our range of custom-branded stubby holders and coolers to keep soft drinks or alcoholic beverages chilled while giving a handy item to your valued clients and potential customers which will remind them of your brand every time they use it. 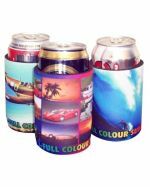 With such a wide variety of cheap brandable stubby coolers in our catalogue, it’s easy to be spoilt for choice when advertising your company to your target audience, no matter which product or service you provide. 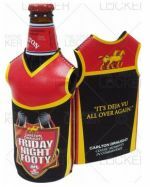 The team at Promotional Items are the undeniable experts in Australia for printing your custom logo or design onto the appealing personalised stubby holder of your choice. 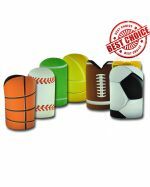 From simple printed Single-colour Stubbies and Flat-Pack Stubby Holders to Sports Themed Coolers and branded Wine Glass Holders, our diverse range of promotional stubby holders is second to none, with a wide variety of colours and designs to suit your needs and budget for your next marketing campaign. 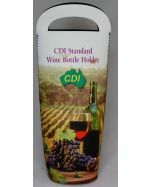 The wide, rounded surface and various shapes available on these imprinted stubby coolers stand out when we decorate them with your brand’s custom graphics, helping your logo to be easily appreciated by clients and potential customers alike. 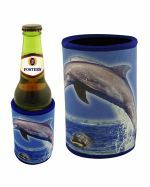 We use the latest in printing technologies and techniques to emblazon your logo onto these promotional products, and guarantee all our work so you can be certain to receive a quality, well-branded promotional stubby holder or cooler that is excellent value for the price you pay. 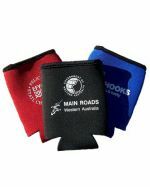 We stock our promotional stubby holders locally and brand them right here in Australia so that you can look forward to professional service, quick turnaround time and fast delivery to all states and territories. 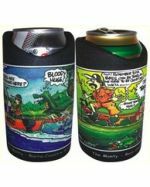 Contact our friendly staff today to find an affordable deal on these amazing custom-branded stubby coolers for your next event or campaign, and have them promptly delivered to your location wherever you are in Australia. 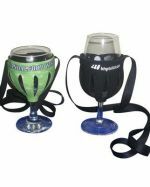 Perfect as gifts. 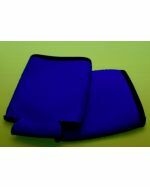 Brand these with your logo. 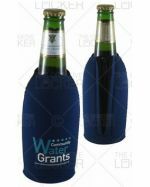 Why Use Promotional Stubby Holders? 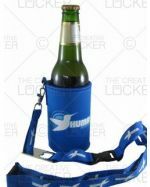 The funny thing is that there is almost no demand in the market for stubby holders – people rely on companies like you to provide them with a high-quality, colourful stubby cooler to quench their needs for this convenient, functional item. 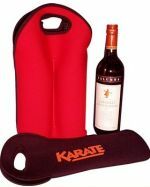 Therefore, we offer you our extensive range of personalised holders and coolers to satisfy your customers’ needs and cheaply and efficiently promote your brand to your target audience, whatever the age or gender. 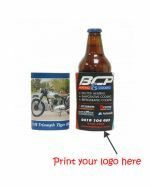 Exposure to a brand is key to its success, and our customised stubby coolers are ideal to help potential customers become acquainted with your company, creating brand recognition and familiarity with every use, which will eventually lead to sales. 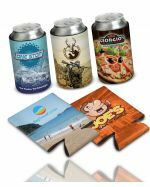 Because these promotional items remain wrapped around your customers’ cans and bottles, you can be confident that they will think of your brand whenever and wherever they use it, whether it be in the office, the pub, or at home. 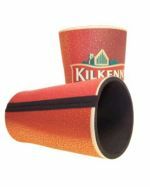 What Do We Make Customised Stubby Coolers From? 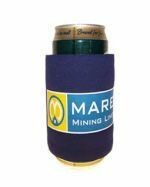 Our branded stubby holders and coolers are made from quality, long-lasting neoprene or foam, which have beneficial insulation properties to keep heat away from cold beverages. 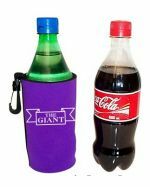 Depending on the promotional item you order, our stubby coolers can hold the typical 375 ml can, the standard 750 ml wine bottle or even the ‘Demi’ half wine bottle, so you can easily select the stubby holders you require for the age group you’re targeting. 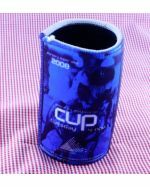 Where to Use Custom-Branded Stubby Holders? 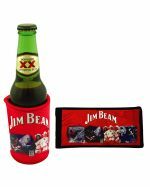 These useful personalised stubby coolers can be used in almost any corporate or social situation, whether it be for staff or as promotional giveaways. 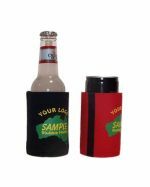 Show your clients and potential customers that they are valued, and distribute these appealing custom-branded stubby holders as promotional freebies at corporate events, expos and conferences. 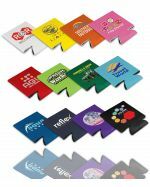 Consider placing these imprinted items on the reception desk or waiting area, where your clients can pick up a few branded holders for free, or disperse them at weddings, a night out, sports games, pubs, or anywhere where a drink or two is appreciated, and get your friends, family, clients and colleagues talking about your company’s brand. 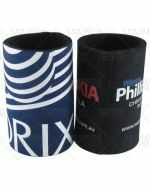 Whatever unique message or personalised graphics you decide to print on these promotional stubby holders, it’s certain to get noticed by your clients and potential customers and help you advertise your brand in a positive light.